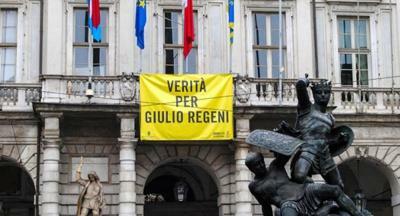 ROME – After yet another disappointing meeting between Italian and Egyptian investigators to examine Giulio Regeni's murder, Chamber of Deputies President Roberto Fico has declared Italy will severe all relations with the Egyptian Parliament. According to a report by Il Fatto Quotidianno, the Conference of Presidents unanimously agreed with Fico’s announcement, though the Italian government and Prime Minister Conte have yet to voice their approval. Laura Boldrini, former President of the Chamber of Deputies, revealed the executive “is not complicit” in the decision. Fico’s declaration came in light of the lack of progress made in the tenth meeting between the Italians and Egyptians on the Regeni case. Italian prosecutors were reportedly extremely dissatisfied with Egyptian authorities’ unwillingness to cooperate. Their disappointment was so great that it prompted them to reveal intentions to report five Egyptian police and secret service agents, suspected to have been involved in the incident. Cambridge University PhD student Giulio Regeni, who grew up in Fiumicello, had been in Egypt researching the country’s independent trade unions when he was taken hostage, tortured and killed, between Jan. and Feb. 2017. Given Regeni’s research activities and left-wing political leanings, the Egyptian police's involvement in his murder is strongly suspected. An article for the New York Times, written Aug. 15 2017, seemed to confirm these suspicions, revealing that an Obama administration official had stated that, in the weeks following Regeni's murder, the United States acquired "explosive proof that Egyptian security officials had abducted, tortured and killed Regeni." Italian police officers have been pulling out all the stops to encourage Egyptian President Abdel Fattah el-Sisi to reveal something about the incident and advance the investigation. Yet their efforts thus far have proved unsuccessful. El-Sisi’s most recent contribution to the investigation came on Nov. 13 2017, and was reportedly highly uninformative. In addition, upon analysing the video in more detail, investigators found some “gaps” in its recording. Italian authorities have reportedly been extremely disappointed with the Egyptian investigators’ reluctance to cooperate. There have been three different Italian Prime Ministers since Regeni’s disappearance - Renzi, Gentiloni and Conte - and they have each urged Egyptian authorities to produce useful evidence. Their frustration with the Egyptian authorities forced them to reveal their plans to cite five Egyptian police and secret service agents, recently identified as suspects by Italian special police units ROS and SCO.